iBomber Attack - The legendary iBomber returns but this time it’s time to ATTACK! 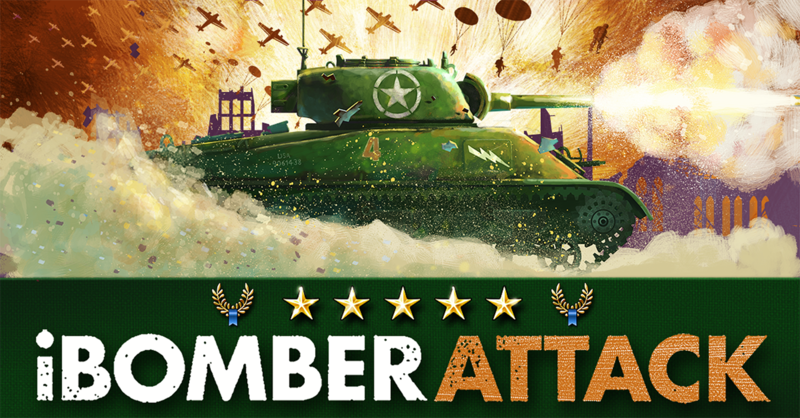 Jump into your tank and get ready to blast your way around Europe and defeat the enemy in this visceral tour of destruction! With 24 missions full of explosive action to play, iBomber Attack is a dose of high-octane entertainment and adventure that you won’t be able to put down. From destroying Navel dockyards, airfields and secret bases to gunning down legions of flame-throwing soldiers, this is 24 levels of non-stop, high caliber action. Earn ‘Victory Points’ and collect gold to power-up your tank with Bombs, Bunker Busters, Mini-Guns, Flame Throwers, Rockets, Airstrike's, Supply Drops and Super Boost's. Dripping with the high quality game-play, visuals and sounds that made the original iBomber games so loved, iBomber Attack ensures the legend lives on! Like iBomber? Have you tried iBomber 3 or iBomber Defense Pacific? Remember to visit iBomberHQ.com for game hints and tips and visit Cobra Mobile on Facebook to get all the latest news on our great games. NOTE: iBomber Attack is free to download and play (aside from internet, carrier, data, device, and other services for which the player is financially responsible), but some in-game items can be purchased with real money. You can turn off the payment feature by disabling in-app purchases in your device's settings, or reach us at support@cobramobile.com for help.